Figuring out author’s purpose is as easy as P-I-E -- persuade, inform, or entertain, that is! Author’s purpose is a great way to understand whether what you’re reading is fiction or not: is the writer trying to persuade the reader? Are they trying to inform? How about entertain? 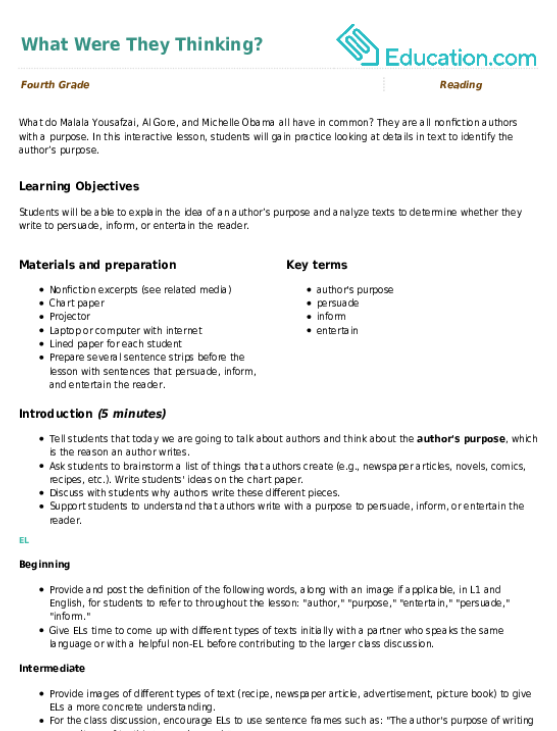 Take our quick and easy quizzes and exercises about author’s purpose to help your kid on the way to reading mastery. Students will read an adaptation of the classic story "The Princess and the Pea" by Hans Christian Andersen. Then they'll seek to determine the author’s purpose and explain their reasoning. This short fictional text can be used to help students determine words and phrases the author uses to help the reader figure out the central message of the story. 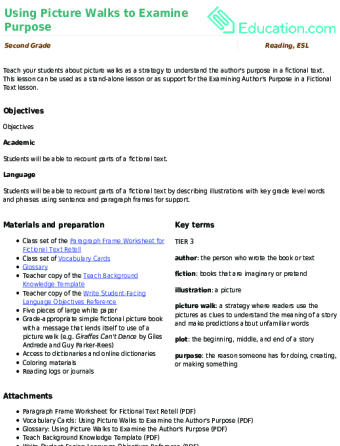 Introduce the concept of author’s purpose in fiction texts with this fun reading lesson! 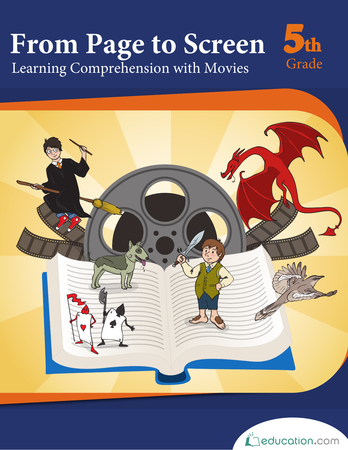 Students will discuss three examples of fictional texts to determine the purpose of each. Similes are all around us—sometimes you just need a little context to know how to decipher them! This lighthearted story about a twisted ankle contains two hidden similes. Can your students find them? What do Malala Yousafzai, Al Gore, and Michelle Obama all have in common? They are all nonfiction authors with a purpose. 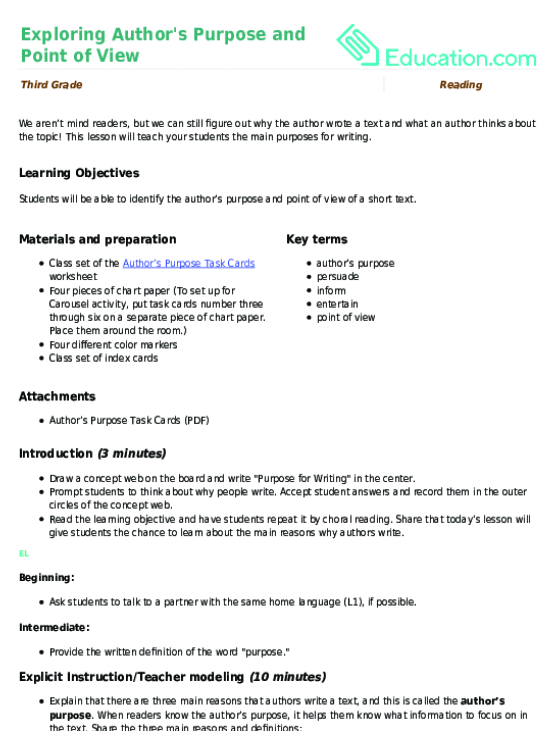 In this interactive lesson, students will gain practice looking at details in text to identify the author’s purpose. 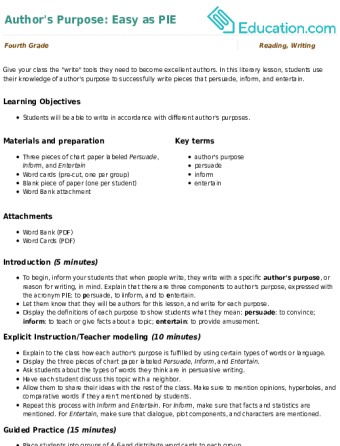 Why does someone write a story? Give your students the tools to find out the author's purpose! 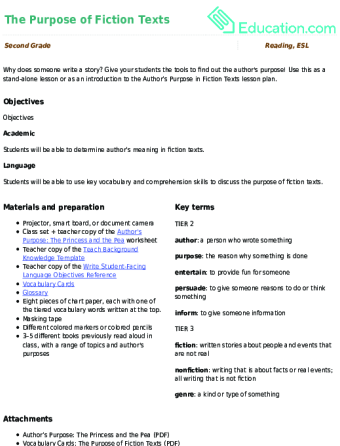 Use this as a stand-alone lesson or as an introduction to the Author’s Purpose in Fiction Texts lesson plan. Teach your students about picture walks as a strategy to understand the author's purpose in a fictional text. 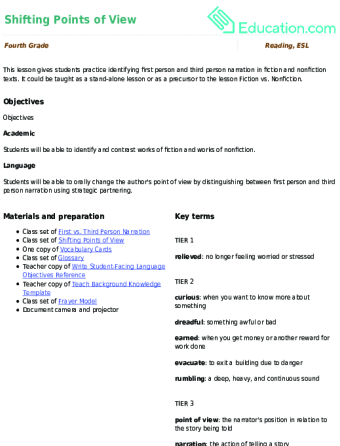 This lesson can be used as a stand-alone lesson or as support for the Examining Author's Purpose in a Fictional Text lesson. 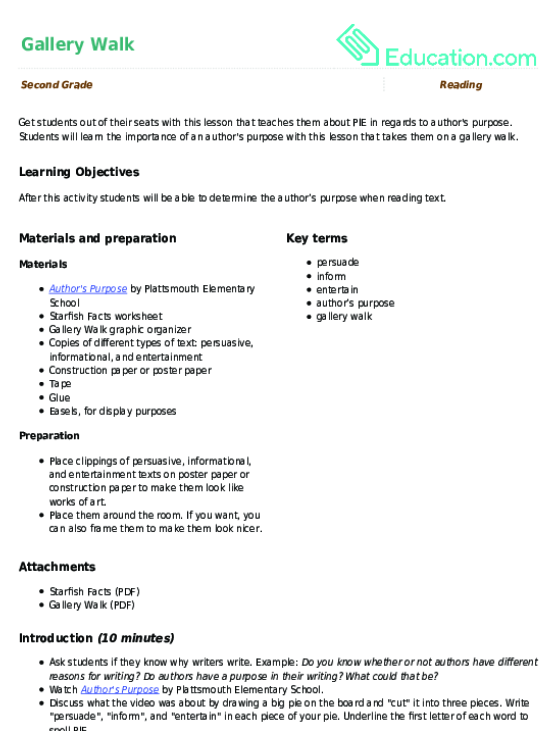 Use this glossary with the EL Support Lesson Plan: Using Picture Walks to Examine the Author's Purpose.